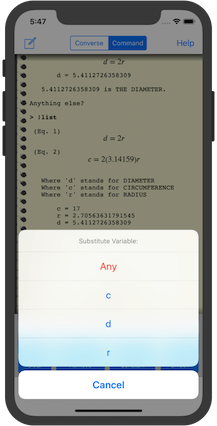 AutoMathic lets you run scripted calculations from a large, built-in library if you want to do something commonplace. Or you can create your own custom scripts and sync them with the iOS Files app or iTunes! 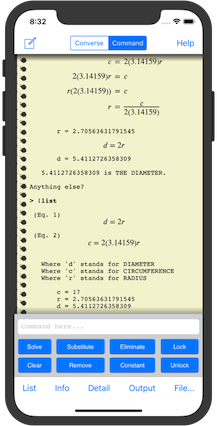 AutoMathic lets you do manual calculations by accepting expressions and equations you enter yourself, and gives you the tools to manipulate them using familiar techniques from algebra. 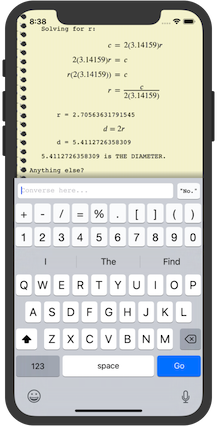 AutoMathic lets you do free-form calculations by automatically translating your English-like, conversational input into variables, expressions, and equations to be solved... and then it solves them! You tell it what you know, and ask it what you want to find out! With AutoMathic, you focus on specifying the problem, and let the computer do the mechanical work of solving it! 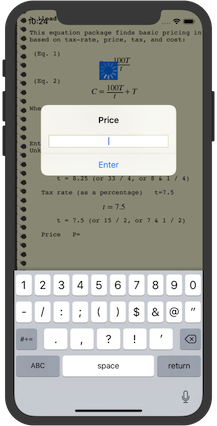 AutoMathic runs on the iPhone, iPod touch, and iPad! 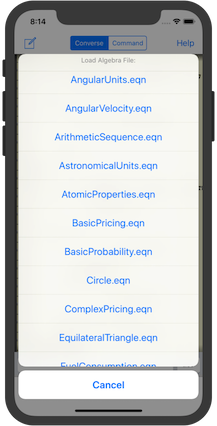 Now features beautifully typeset math rendering, more accessible Help sections, iOS file sharing, and additions to its vocabulary and knowledgebase! 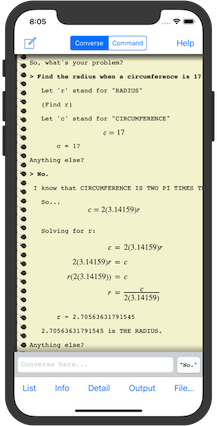 Instead of a one-line, numeric display, its output scrolls indefinitely, showing variables, expressions, and equations that are formatted and easy to read! Instead of passively waiting for directions, it automates most of the process (even when in the hands-on "Command" mode), but has customizable level-of-detail settings that can show and explain every step of the way! Instead of rigid equation libraries, it has a collection of task-oriented workflows that conform to how you want to use them. They don't even distinguish between variables for "input" and variables for "output"! 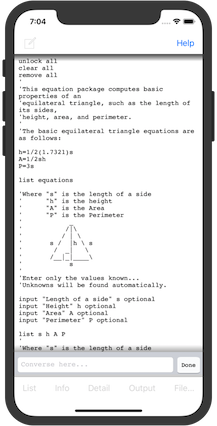 Instead of requiring "programming" with a low-level programming language, it lets you create, use, save, and later reuse your own equations just like the built-in equation libraries! AutoMathic offers a high-level, "natural-language" interface that accepts free-form, conversational input and automatically pulls in whatever background information is needed at the time from a broad, built-in knowledgebase! Transcripts can be saved to record and document the entire session! Anyone who's naturally curious or likes to play with numbers! 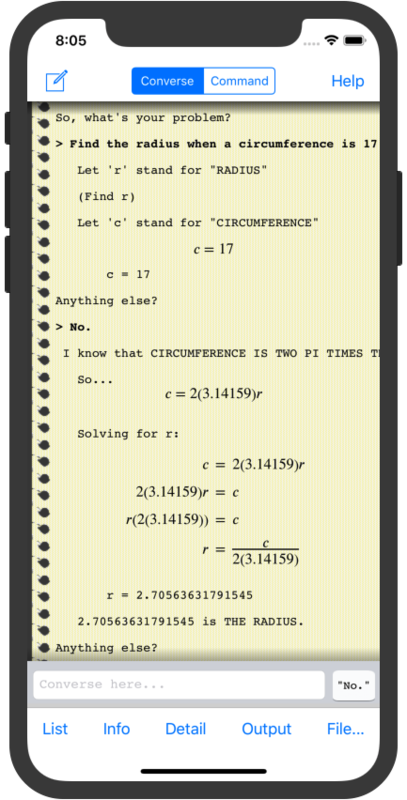 The ability to conveniently get answers to mathematical questions makes one apt to ask more (and more interesting) questions since AutoMathic takes away the drudgery of getting answers!